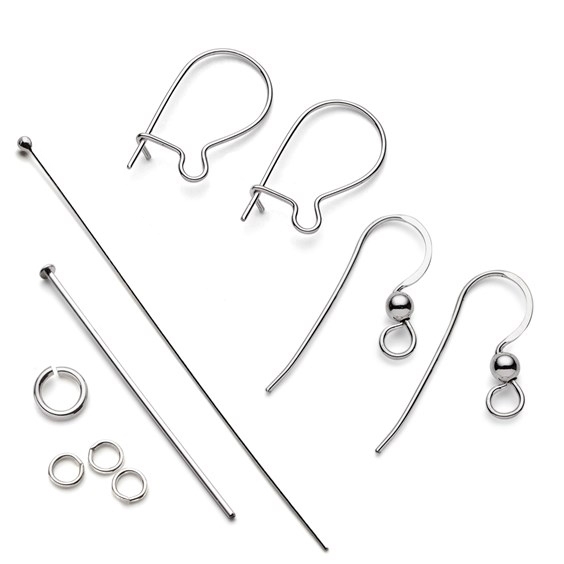 This pack is full of useful sterling silver findings for making earrings. It has approximately 31 pieces including jump rings, different styles of earwire and headpins so you just need to add beads, charms and the like to create several beautiful pairs of earrings. This is a great pack for beginners to jewellery making as well as being useful for experienced jewellers to stock their supplies. Select your favourites from our large range of gemstone beads or, if you are not sure which beads to choose, you could always try one of our bead packs full of gorgeous hand selected beads.